Cadet Jaylon Pierce helps with life insurance booth. 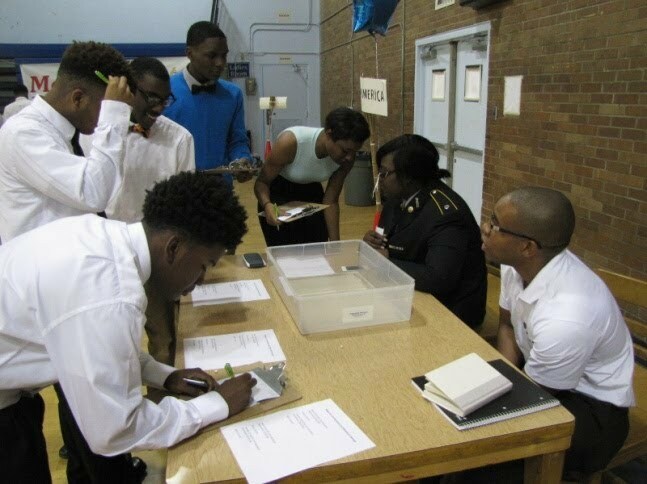 Cadets helped with multiple booths for Murrah’s annual reality fair. The purpose of the reality fair is to expose freshmen to life as an adult and how financially critical adult life can be. The reality fair lasted throughout the day, and multiple students can now say they have learned something about finances in the future. On top of that, some of our very own LET I’s were among the crowd of freshmen in the reality fair, producing financially intelligent cadets! Successful work!